Hidden away in the South Australian outback are some of the most spectacular, naturally pink lakes you’ll see. Somehow these lakes have managed to stay overlooked by many tourists – who we can only assume haven’t been made aware of just how incredible these naturally bright pink lakes really are. 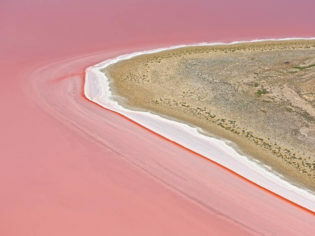 Scattered across South Australia’s outback, each of the lakes get their vibrant pink hues from a salt-loving algae that is attracted to the high salinity levels found in the water. While some of the lakes are still being used to harvest gypsum – a soft sulfate mineral used as a fertiliser – a number of old salt mines have been abandoned, leaving travellers to enjoy beautiful, undisturbed views of the incredible natural hue created in the water. The vibrant colours of these lakes change according to the seasons, cloud cover, salinity levels in the water and the time of day, so while you might not always be guaranteed bubble-gum pink views, we can promise you stunning shades year-round. The ever-changing colours make each of these lakes an excellent location for budding photographers to capture the beauty of this natural phenomenon. Which lakes should I visit? Located about 860 kilometres from Adelaide, Lake MacDonnell is best accessed via plane from Adelaide airport to Ceduna and then a short 45 minute drive. The closest town to Lake MacDonnell is the small township of Penong which is famous for its windmills and easy access to the popular Cactus Beach. Known as one of the best surf beaches in Australia for its excellent breaks and secluded location, this beach attracts keen surfers year-round. One of the best ways to access Lake Eyre is via tiny outback town William Creek, which is roughly a 15 hour drive from Adelaide. That being said, we recommend that you plan an extended trip through the outback to take in the remote scenery on the way. Alternatively, catch a quick 1.5 hour flight from Adelaide to Roxby Downs (Olympic Dam Airport) and hire a 4WD there to complete the approximately three-hour trip to the lake. Despite its remote location, there’s plenty to do around Australia’s largest lake from exploring the expanses of the massive salt pan to taking in the views with a scenic flight. While you’re in the area, the William Creek Hotel, established in 1887, is a great place to stop for a drink, meal or even a night. As many visitors choose to visit Lake Eyre as part of a larger trip, we recommend you add the semi-nearby Coober Pedy to your itinerary to check out its underground hotels and even look for some opals to take home. 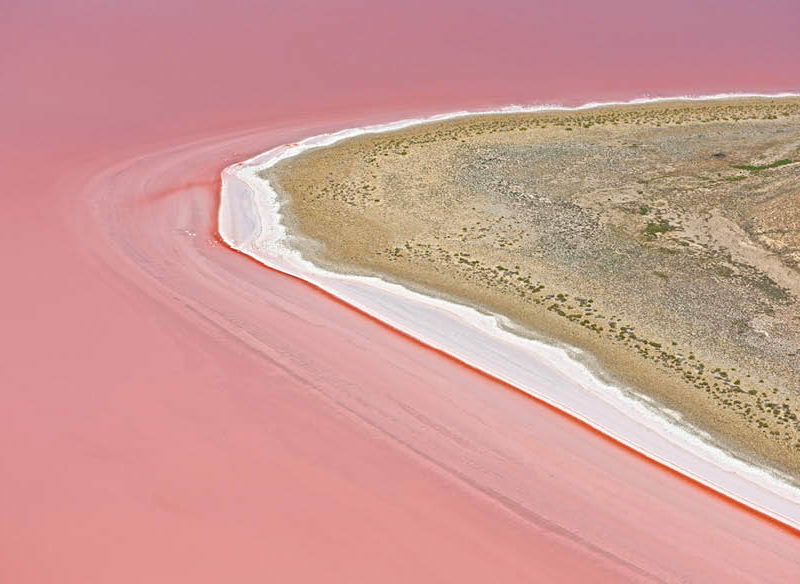 Only an hour and 40 minutes’ drive from Adelaide, Lake Bumbunga is one of the most accessible pink lakes in South Australia. Many tourists enjoy lunch at the popular Jitter Bean Oasis cafe on the Princes Highway during a visit to Lake Bumbunga. The wineries of the nearby Clare Valley are less than a 40-minute drive from this stunning lake, where visitors can enjoy award-winning wines, incredible food and take in the outdoors by walking or biking the nearby trails. This beautiful lake is a five-and-a-half hour drive from Adelaide and just over an hour south of Roxby Downs, making it a worthwhile stop on your way to Lake Eyre. Otherwise, the lake can be glimpsed by passengers aboard The Great Southern Rail’s Ghan service. There isn’t much else to be done in the area other than camping nearby to enjoy the lake-side views and the excellent stargazing opportunities. Many visitors use this beautiful lake as a stop along the way to Coober Pedy, Lake Eyre and Yulara. Located less than two hours from Adelaide along the Princes Highway, Lake Albert is a must-see destination. Just off the highway there is a spot for travellers to pull over and take in the lake. For an unforgettable experience at Lake Albert make sure to stay a night or two in the nearby town, Meningie. Here visitors can take in the surrounding landscape by walking, canoeing and fishing in the area and can also drive a 4WD along local tracks and the beach.